The Hi-Density sub-woofer is capable to provide high class bass output. Audionic HS-5000 is wooden Made Sub-woofer body to enhance quality of Bass. 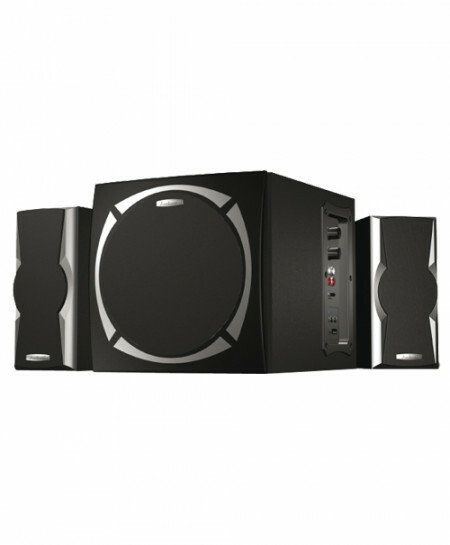 Audionic HS-5000 include 2 Satellite Speakers to Handle higher frequency and 1 Sub-woofer for lower frequency. This combination makes extraordinary sound quality. Audionic HS-5000 has Bass Duct is engineered to enhance the lower frequency range and provide high Bass Output.Sub-woofer.